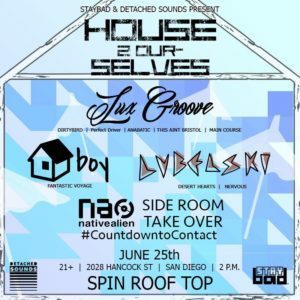 Time to break out the summer gear and bring the house party to the rooftop! House 2 Ourselves will be transforming Spin’s iconic rooftop into a backyard patio atmosphere to bring you those day party vibes we all love. Ball pits, lawn chairs, beer bong, and banging house music all day long! 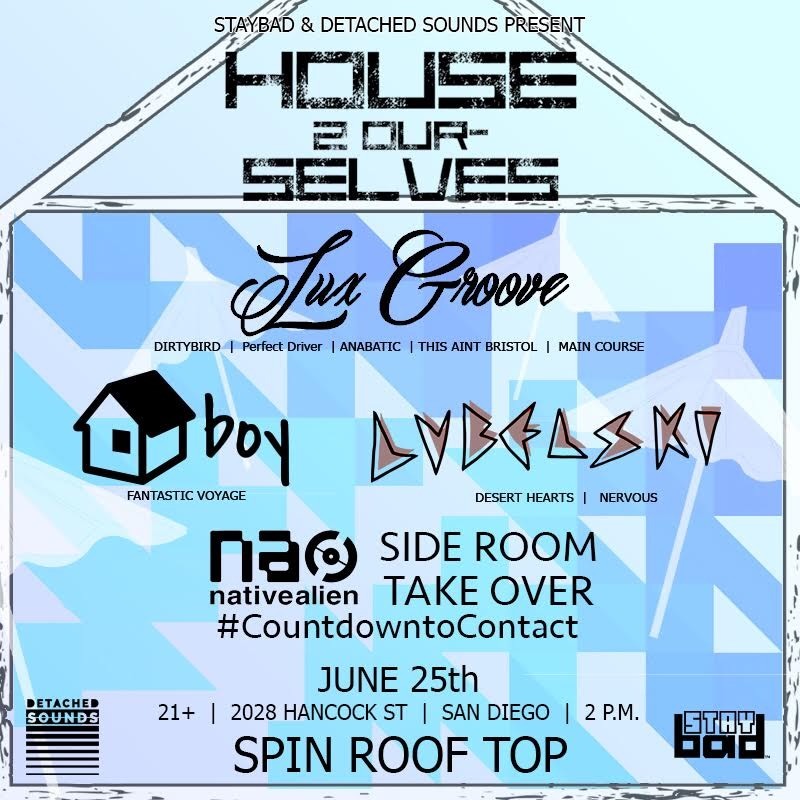 Native Alien will be taking over the side room for sunset sessions as we #CountdowntToContact! Meet us on the dancefloor on June 25th and let’s get weird af together!